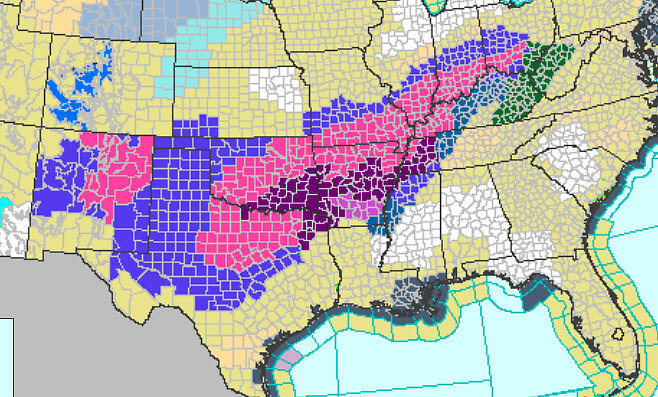 This is the lay of the land as of 8 a.m. Thursday, Dec. 5; the deep purple in the center of the map is the ice storm warning, surrounded by the pink, which is a winter storm warning. Ten days ago, our corner of the world was on the edge of a potentially dangerous late autumn storm. Aside from a few cars sliding off the roadway, mostly because they were traveling too fast on bridges and overpasses, it was a non-event. Today we are experiencing the beginnings of what promises to be a more serious situation, as the National Weather Service has, in just the last six hours, upgraded us from winter storm warning to ice storm warning. In any case, the forecast low for Saturday morning is 7˚F. Frowny face. All we can do is muddle through. The RV is gassed up, and I cranked the generator a couple of times to make sure it would start. That way if we do lose power, we’ll have the comforts of electricity and running water. We won’t have television or the internet, except via our phones. So if we seem to be missing, don’t fret. We are hunkered down in the RV, reading Nietzsche and eating canned soup. 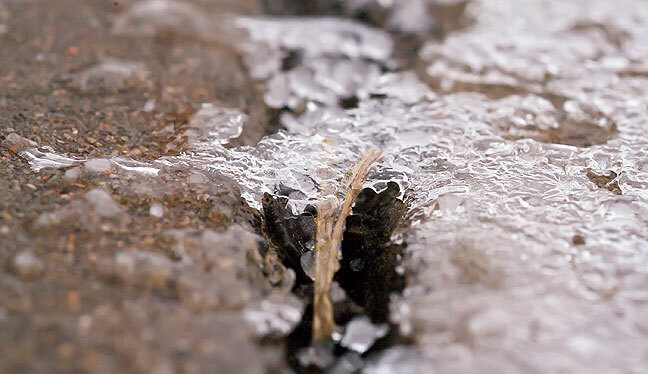 Small amounts of ice have begun to accrete on exposed surfaces. Be sure to lotion up really well; in addition to keeping you from cracking, it will provide another protective layer. Something tells me you’re going to have chichuahuas all up in your fleece-lined jeans legs. Oh, I don’t miss single-digit temperatures. At. All. As much as I’ve always loved the majesty and stark power of winter storms, I prefer my Fahrenheit in double-digits, thank you very much.